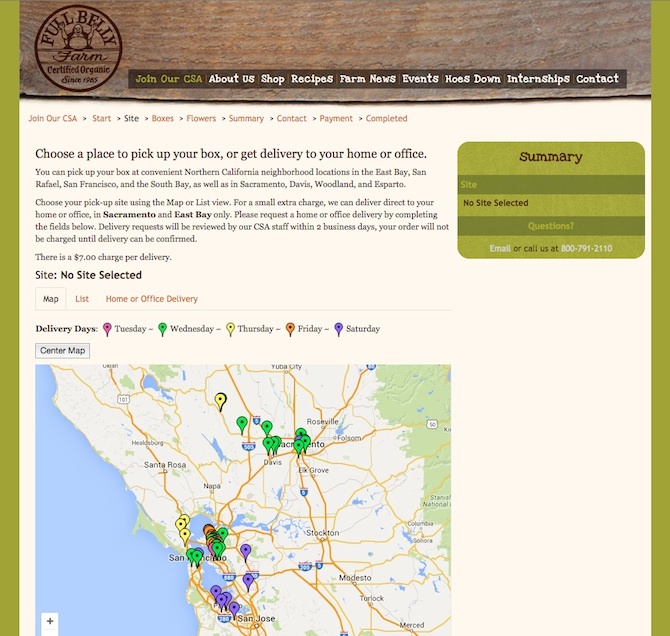 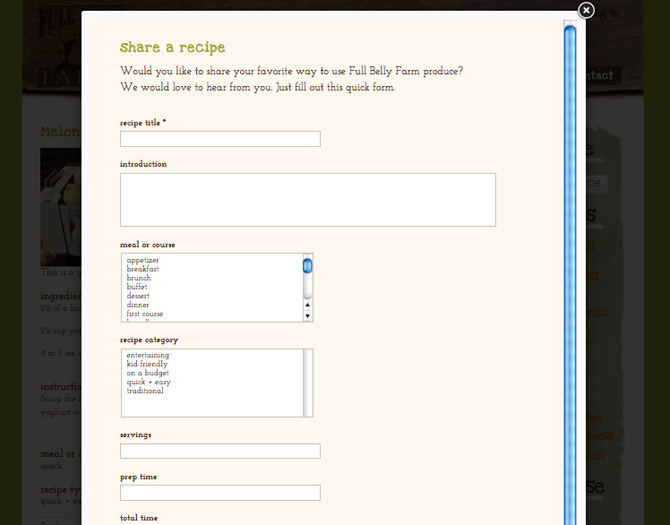 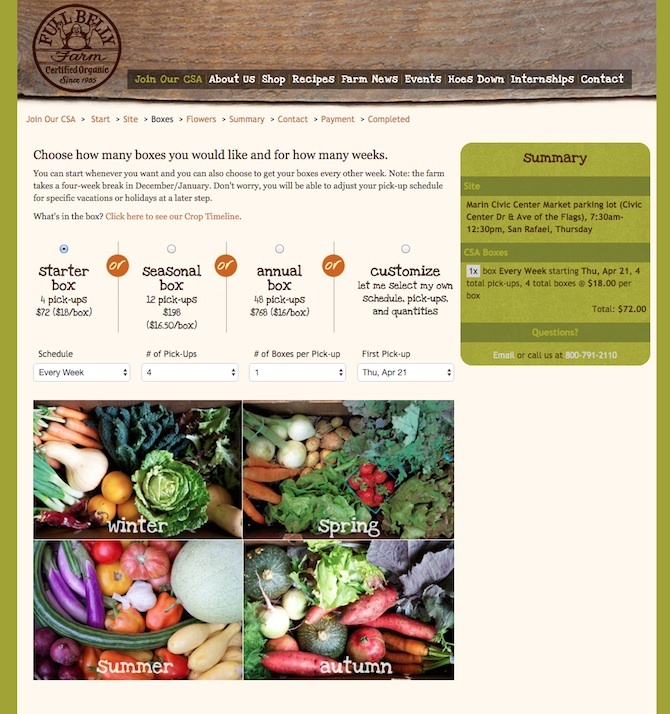 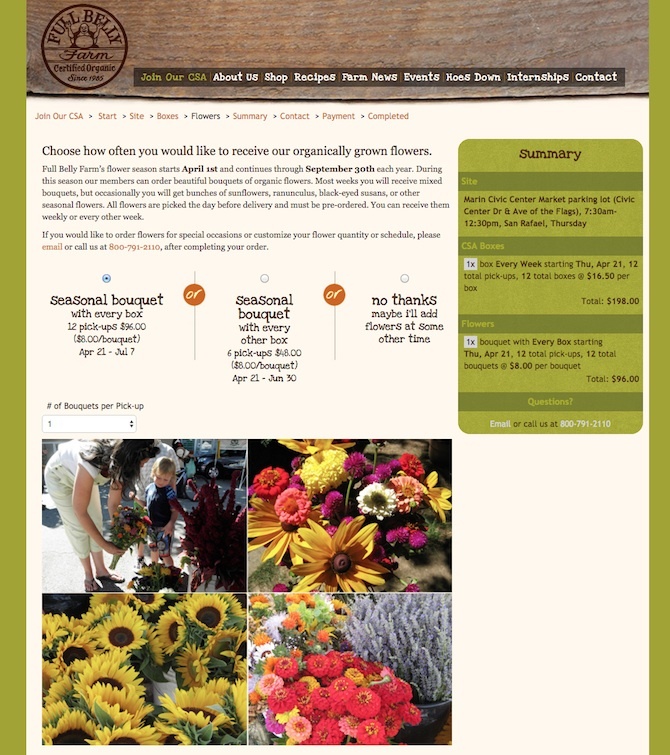 We launched the current site in January 2013 with lots of images in responsive slideshows, forms for 5 Bay Area regions to join their CSA (Community Supported Agriculture), an entire Recipe database and form to submit them, and a complete Farm News area that is updated weekly to meet their member’s needs. 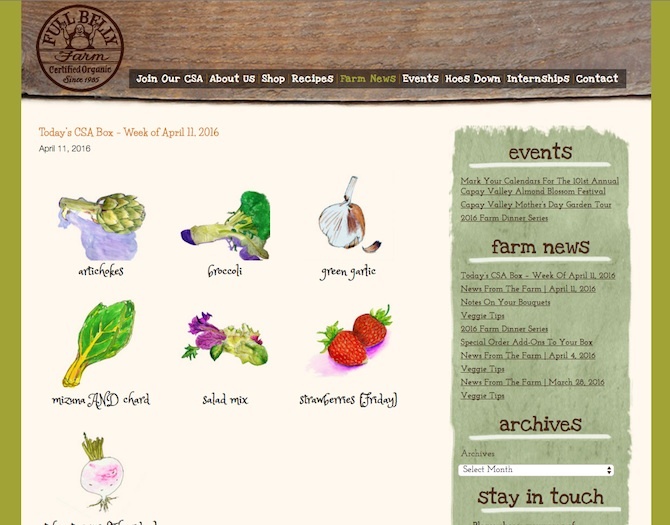 All of this has lead to an increase in their CSA Members. 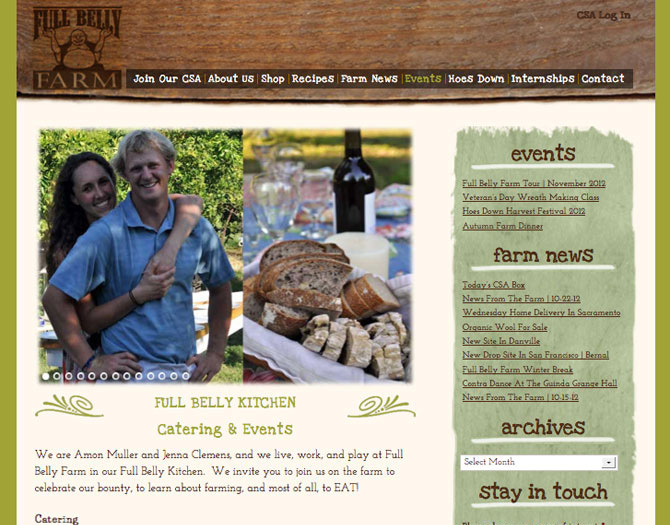 Then we added Full Belly Kitchen, which has just taken off in recent years! 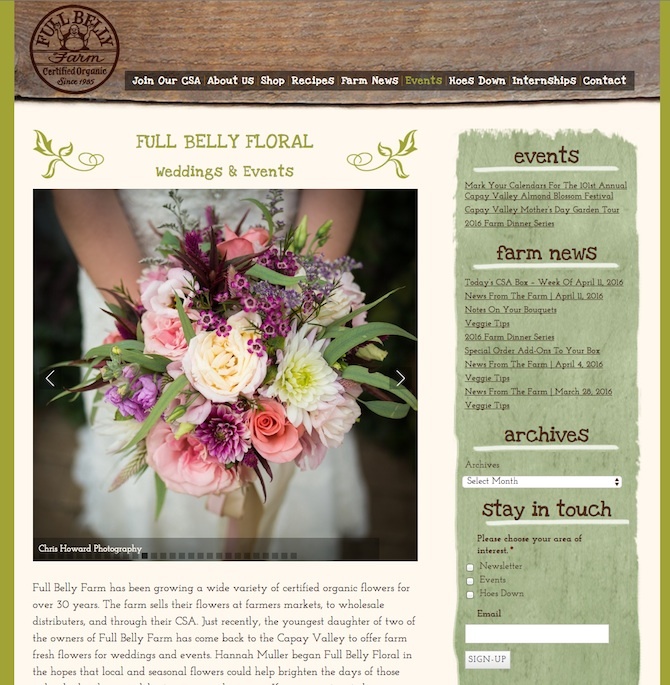 After that Hannah returned to the farm and started up Full Belly Floral, providing organic flower arrangements for weddings and events. 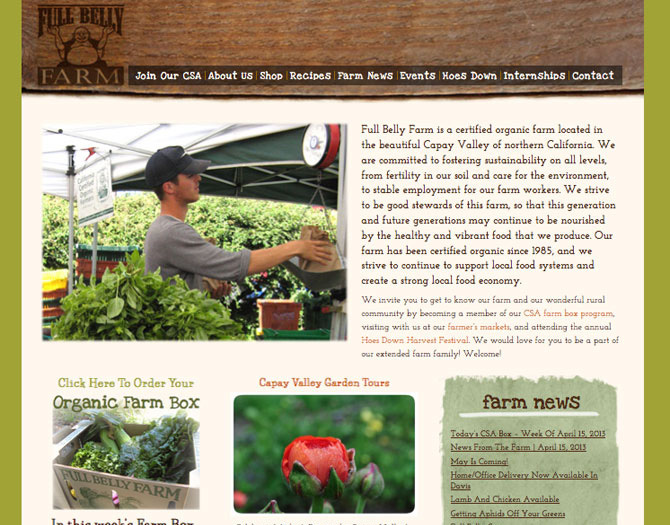 The most recent launch is a CSA sign-up and password protected area where their members can manage their accounts. 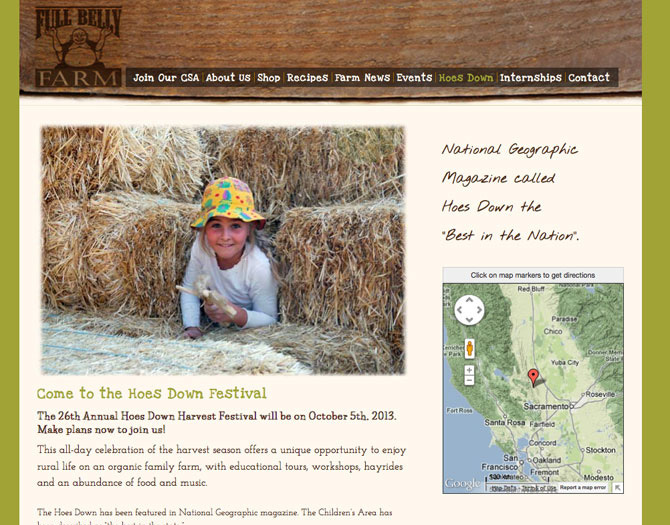 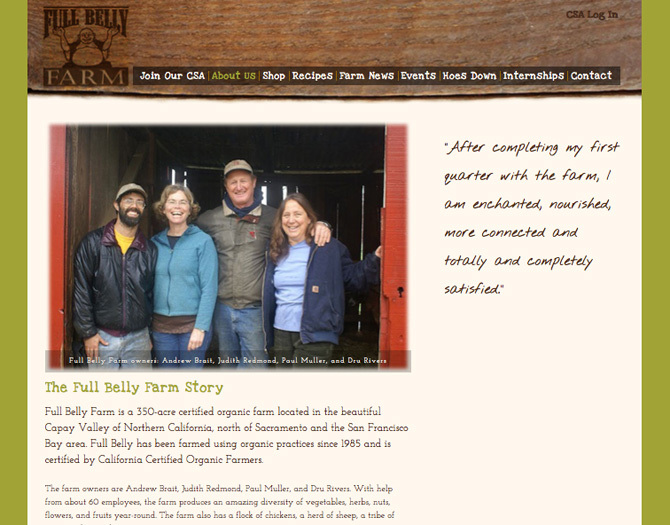 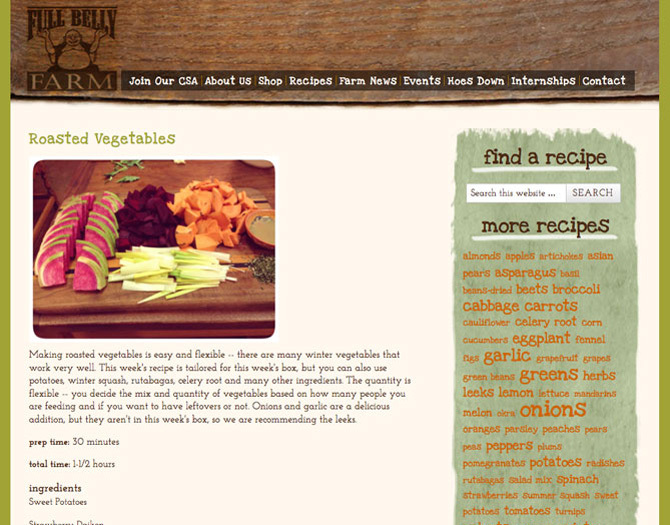 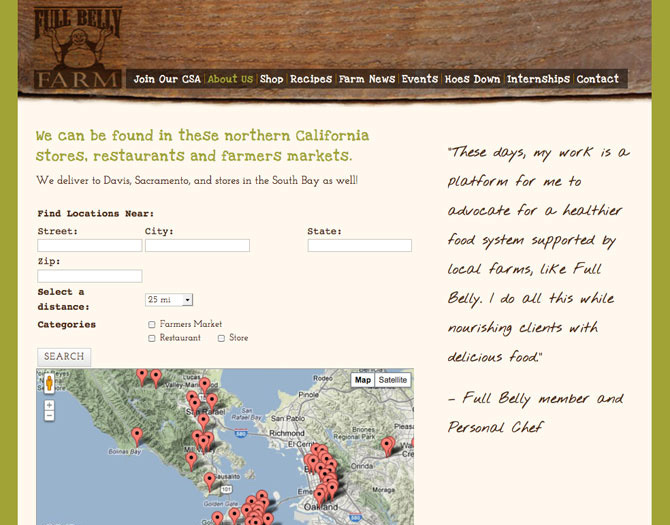 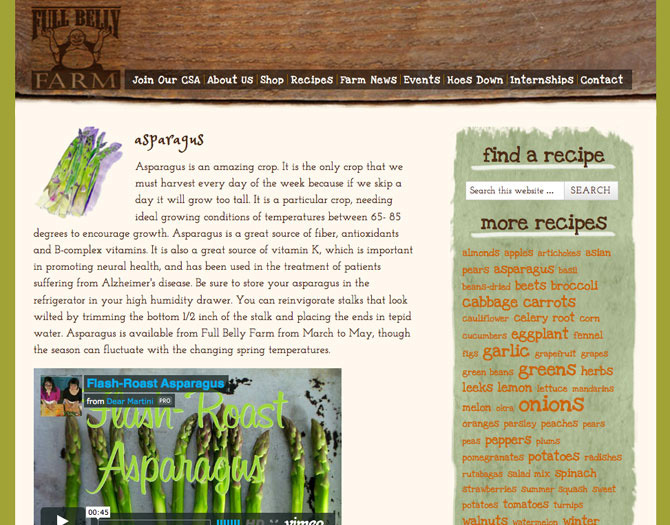 Full Belly Farm continues to grow and so has their site!